I wasn’t really expecting that Google would be among the many who will hurriedly jump in to the iPad frenzy. Â But, yes indeed they did in fact was very quick to update the Google Mobile App for iPhone to fit into the Apple iPad interface. So, if you’ve been raring to have the Google Mobile experience on your new iPad, you Â might want to check out Google Mobile App which is currently available now as a free download for your iPad. And what does this Google app has to offer for all of you proud iPad users? Pretty much the same features that you’ve enjoy with the app’s iPhone version. Â For instance, it allows you to search by voice supporting several accents including – American, British, Indian or Australian English accents as well as Mandarin Chinese and Japanese.Â The app also recognizes your current location when you are searching for nearby location. Speaking of search, Google Mobile App for iPad also features several search-related goodies including Google Suggest, search history, contact search and vertical search for searching Google Maps, Images, News and Shopping. The app also lets you navigate to various Google web-based services such as Gmail which was recently optimized for the iPad as well. Overall, the app seems pretty good but although if you’ve used Google Mobile app for the iPhone, you’d notice that it’s practically the same apps, the iPad version was just modified to best suit the large screen estate of the iPad. Google also promises to come up with more iPad-specific features later on. To download Google Mobile App to your iPad, search the iPad App Store or simply click on this iTunes Link. This is it folks!. Apple has officially created chaos in the mobile computing world with only a day left before the UPS guys come knocking on U.S. on some 100,000+ homes delivering the iPad package. As if the anticipation and excitement is not enough, Apple decided to unfold the iPad App Store – live on the iTunes, side by side with the iPhone App Store. Yes, the iPad App Store is now live and already kicking out around 2,300 plus iPad apps awaiting the first batch of iPad owners willing to purchase them. If you’re so used to the iPhone app store before there’s not much difference for the iPad App Store in layout and functionality. 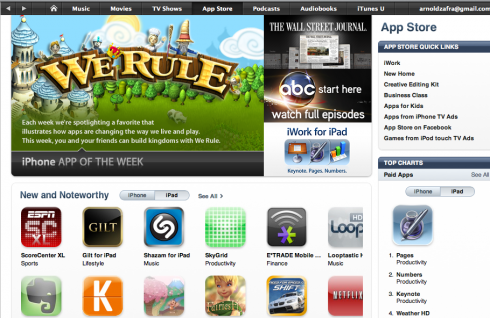 The main iPad App Store is also recognized similar to the iPhone App Store. There’s the new and noteworthy iPad apps, the Hottest iPad Apps, and Staff Favorites. On the right side of the page you’d see the App Store Quick Links, Top Paid iPad Apps, Top Free iPad Apps and the Top Grossing iPad Apps. Clicking on individual app entries will also give you the same layout and features as the app profile in the iPhone App Store. Overall, the iPad App Store is pretty much what anyone of us expected. Most of the apps are priced reasonably if I may say so. But of course if you don’t want to spend that much on iPad apps, you can always check out the free ones. So, have you checked it out? Have you started listing down the iPad apps that you’re going to get once your iPad arrives? 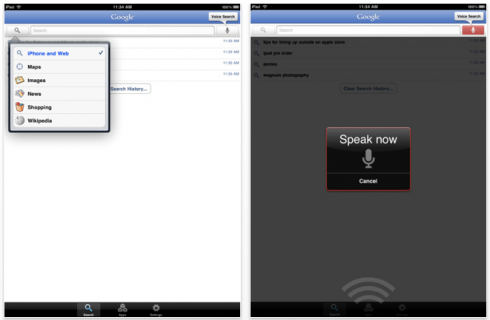 At the ongoing International CTIA Wireless 2010 gig, Yahoo has just launched two new mobile search related feature for the iPhone and iPod touch owners – Sketch-A-Search and the new Yahoo Search Mobile. 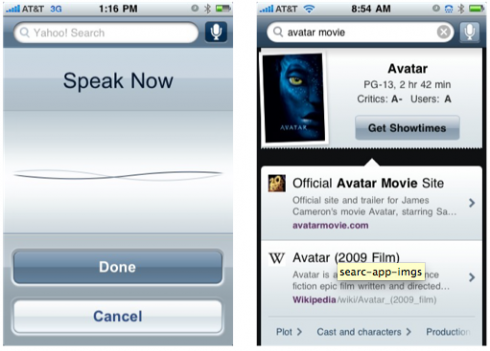 According to Yahoo both these iPhone apps promise to change the way you use mobile search through fun, entertaining and easy to use interface with location aware feature. While touch-enabled search feature is nothing new in the iPhone, Yahoo extends this further by making Sketch-a-Search a little unique. Â What the app lets you do is to find information about a particular business establishment in a particular area by simply drawing a circle around a general area on the Yahoo map. The app will then display placemarkers representing the different establishments on that area. You can then tap on each of the placemaker to find out what these establishments are and get Â reviews, browse photos, check prices and other information related to that business establishment. Yahoo Sketch-a-Search is currently available only for the U.S. audiences but Yahoo promises to include international markets in the future as well. Meanwhile, the new Yahoo Search Mobile is now better and more efficient with integration of voice search, embedded maps and information from various Yahoo Verticals – Finance, Movies, News and other sources. Location-based search results are also enabled to make it easier for you to find local establishments in specific areas. Honestly, these two new mobile search features are pretty impressive. Yahoo Search Mobile and Sketch-a-Search iPhone apps are available for free download from the iTunes Apps Store. Come April 3, there will definitely be an influx of iPad applications trying to gain exposure on the iPad App Store. Â So, if you are a developer and you want your apps to be among the iPad launch apps, you better start finalizing these apps now and submit it to Apple for approval. 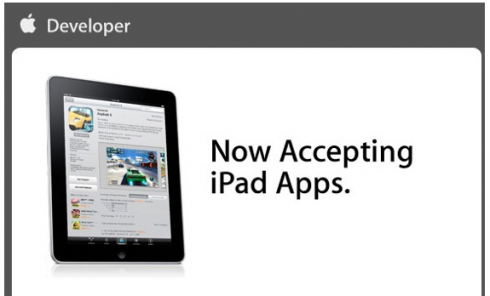 You only have until March 27 to ensure that your apps will be featured during the iPad launch on April 3, say Apple. Build and test your iPad application using iPhone SDK 3.2 beta 5 available on the iPhone Dev Center. Only iPad apps built with SDK 3.2 beta 5 will be accepted for this initial review. Upload your distribution signed app through iTunes Connect by Saturday March 27, 5pm PDT. The App Review Team will review your app on iPad and email you details about the readiness of your app. You wil also receive additional information about submitting your app for final review before iPad ships. Only apps submitted for the initial Â review will be considered for the grand opening of the iPad App Store. So there. 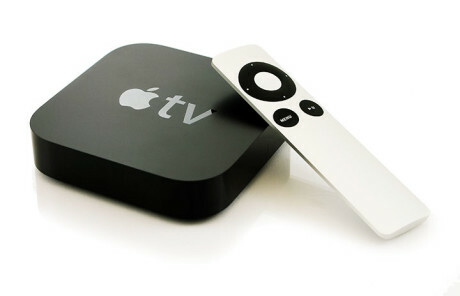 You’ve got a whole week to prepare your applications and submit them to Apple for review. Since the it will only be a fews before the iPad App launch there’s a pretty big chance that your application will make it on time. I mean common, can Apple really review all the apps that will be submitted on March 27 thoroughly?